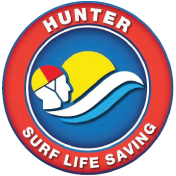 Nominations for our 2018-19 Junior Lifesaver of the Year are now open. Each club can nominate four (4) for the camp which includes the two nominees, one male and one female for Junior Life Saver of the Year. Applications must be received in the office by Monday 3rd December 2018. Copy of the Circular outline the criteria can be found here. If you would like a copy of the JLOTY nomination form, please email Jenny at info@hsls.org.au.